Preheat oven to 175 Deg C.Line a baking sheet with parchment paper. Sift together all purpose flour and cornflour.Keep aside. 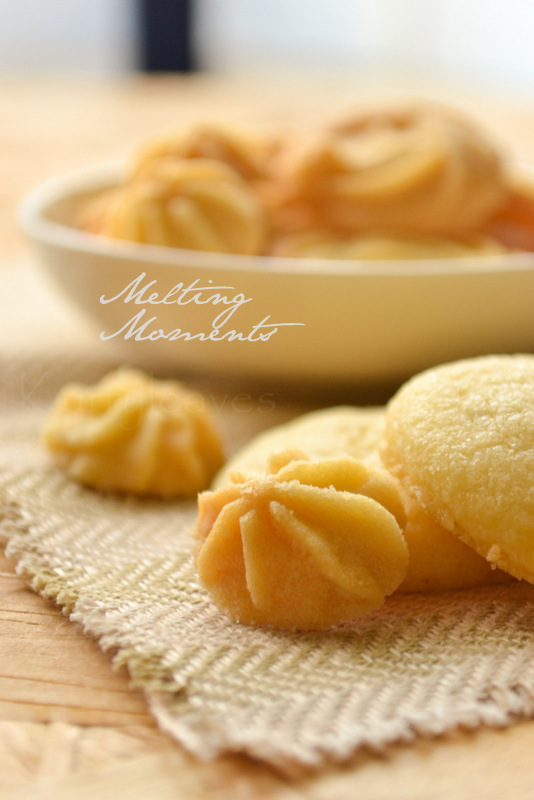 In a mixing bowl combine together butter and icing sugar until smooth and creamy. 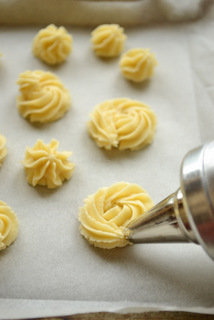 Transfer this to a piping bag fitted with a star nozzle and pipe out rosettes on the prepared baking tray. Leave it on the baking tray for few minutes before transferring to a wire rack to cool. To make 1 cup of icing sugar ,powder together 1 cup granulated sugar and 1 tbsp cornflour until it turns into a fine powder. Use milk only if the dough is stiff. 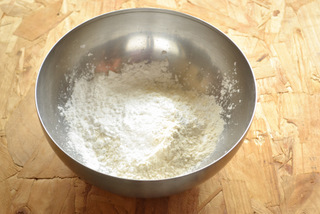 You can also divide the dough into equal sizes balls and lightly flatten with your palm and bake. 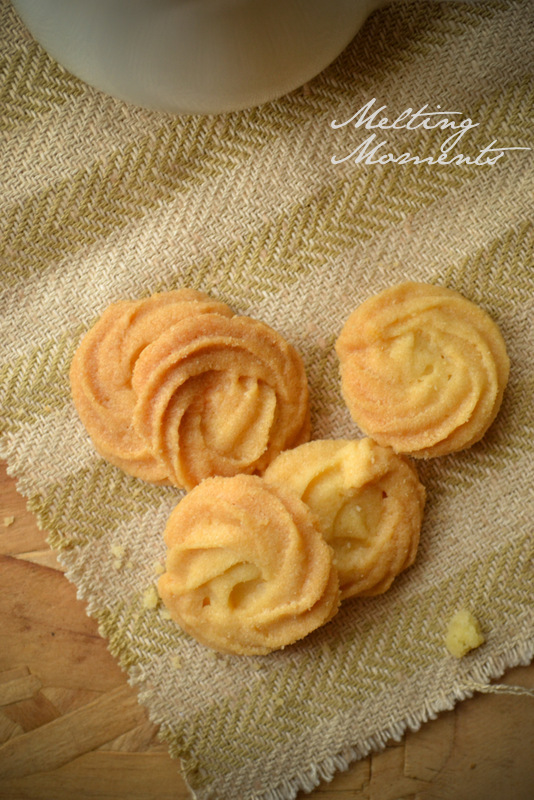 For the cookies to retain the shape ,place the piped cookies in the refrigerator for about 10 to 15 minutes before baking. Make sure the oven temperature is right,if the temp is high the cookies will go flat. looks so delish truly melt in the mouth cookies! 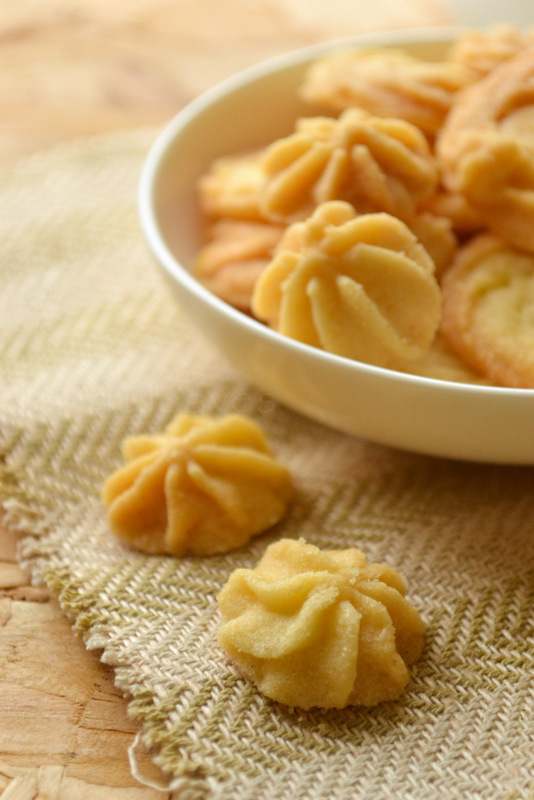 Love those piped cookies ! perfect ! mmm.... perfectly baked ones...Amazing clicks too. What temperature should the oven be set to? Could you please post that too, it would be helpful. The cookies look delish! 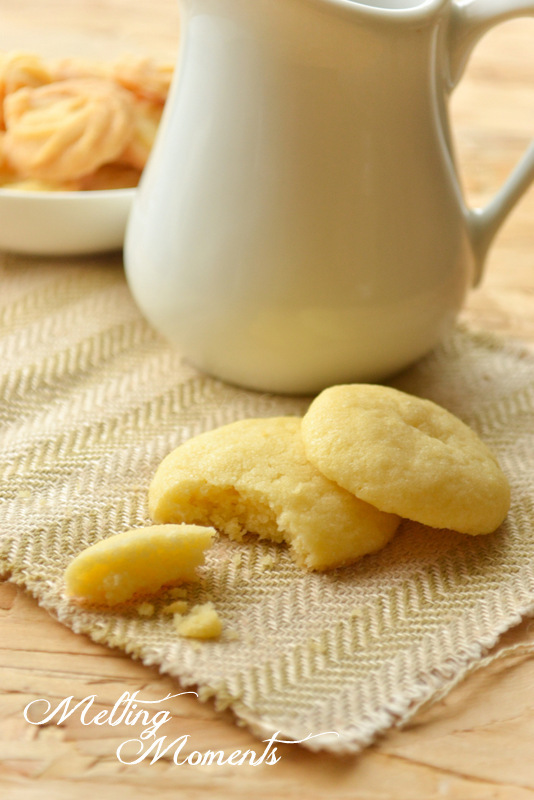 I just happened to land here when looking for eggless cookies.Wow wow, what a perfect Melting moments and lovely clicks. Too tempting dear. Gonna try tonight.